Vibratory Feeder Cubes Technical Documents - Rodix, Inc.
Rodix Inc. maintains a library of technical documents for the vibratory feeder controls that consist of Application Notes, Spare Parts Lists and Advanced Application Notes on our website. As we have had many product revisions over the years, if you do not see the particular model you have, please contact us. We will be expanding our online technical library in the coming months. 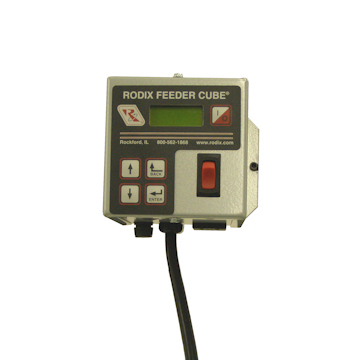 Select the link to the appropriate Feeder Control family that you are looking for.